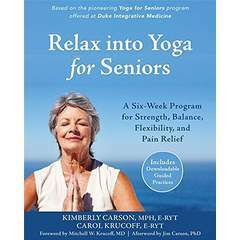 Kimberly is interviewed by the Oregonian about the therapeutic benefits of yoga. Carol explores how yoga can help relieve and prevent neck pain with Robin Rothenberg. Carol discusses the health benefits of yoga with Joe and Terry Graedon in May, 2008.